When it Comes to Safety, We Don't Compromise! We at Eillien’s Candies understand the importance of Safe Quality Food and take pride in exceeding our customer's quality and safety expectations. We recognize the value in continuous improvement of our Food Safety Management Systems, and support the Global Food Safety Initiative through our SQF certification. 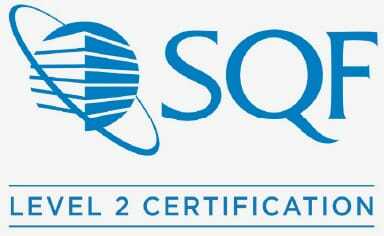 Our SQF (Safe Quality Foods) Level 2 Certification is a promise and commitment to our customers that there is a rigorous system in place to manage food safety risks, and provide safe products from our facilities. In order to meet and exceed expectations, our experienced team of Quality/Food Safety Specialists are trained in current food safety requirements, and are also PCQI (Preventative Control Qualified Individual) certified. To assure all aspects of our operations are strictly adhering to current food safety regulations and standards, Eillien’s Quality Team develops, implements, and monitors strict internal quality and food safety control on a daily basis.